Our thanks to all who participated in SWP 2018! The Rotary Club of Hamilton AM, McMaster University, Mohawk College, Judy Marsales Real Estate Ltd., James Gillett, Redeemer University College, Hamilton Public Library, Hamilton Arts & Letters magazine, and the City of Hamilton. 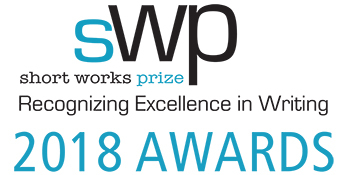 The Short Works Prize for writing is open to Hamilton Area Authors. SWP was founded in partnership by Bryan Prince Bookseller, Hamilton Arts & Letters magazine, and the Hamilton Public Library.